While I know it has made me lax on my posting I have started a studio with my Uncle and Fellow Potter, called Mud Shack Studio. Also I have taken over some local Craft events. These have been keeping me on my toes, literally. Even my knitting has slacked off, so my projects have started to pile up. My knitting status is simple I have finished a few scarves and hats for the cold snap. Now I am working on a beautiful pair of Cabled socks out of Distrato by Indulgence. It is my first time working a Cable Pattern. I am loving these socks, and have not even turned the heel yet. Yarns I Have a lovely stockpile, and finished a 800 yard lace weight a week or so ago out of bright pink mohair for a friend of mine. I have been going to local assisted living homes and demoing how to make my lip balms and offering them as gifts to the residents. With all of this do not think I have gone soft... rather I am bringing out the clay and getting muddy. I have added over the last few weeks some lovely yarn bowls that I have made, and will be adding more as they are glazed. Also I will be adding some hand made wooden drops spindles, and other wood crafts to the shop. All built or turned with care. Now is the time to buy something for the craftier, art lover, or just special person in your life. Today I spent the day in Charlotte at a great First Annual Fall Craft Festival. 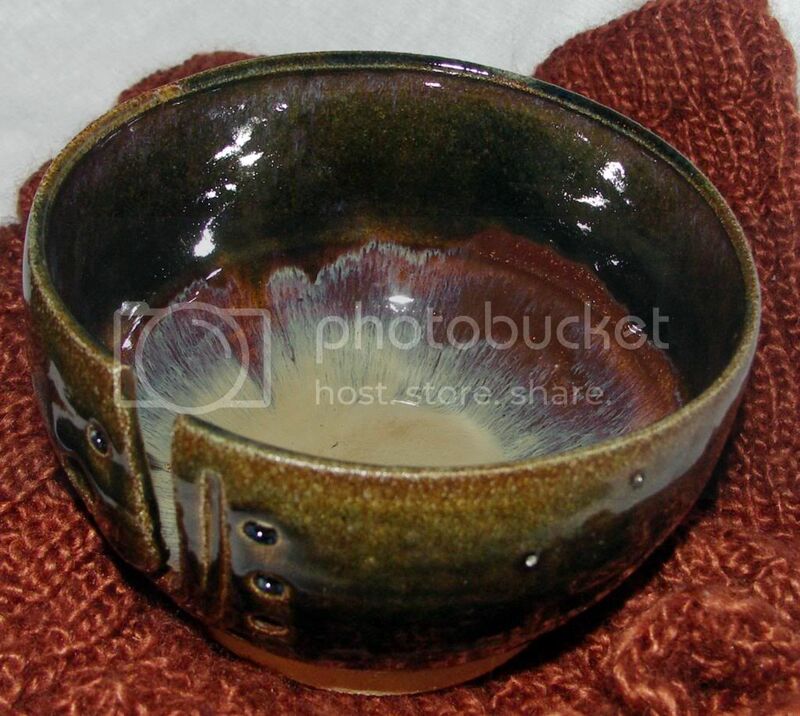 I was happy to bring not only my soaps, bath products and yarns but also some of my pottery both new and older work. I was exited to see that what started out as 15-20 Pieces I only came home with 3. My soaps and lip balms were a hit, along with my Bath salts, though the star of the show was the spinning demos. I was exited and had a great time showing how to spin both on the wheel and on drop spindles. Congratulations to the winner of my Bath Gift Basket, I hope that the relaxing lavender salt, and pampering soap and lip balm will bring you joy. Of late public knitters and spinners are popping up in some of the most unexpected places. A craft that has traditionally been in the home has found it's way on the public buses, and to park benches. Most people are not expecting to turn the corner in your downtown area and find a spinning wheel a whirling or drop spindle spinning away. While last month was International Spin in public day I wish to keep this movement going. I am gathering a number of other local fiber artists and we want to take back our area. We are going to gather and "cop a squat" in out own nontraditional places. I challenge you do join others in your area. If you are not a spinner, knitter or artist I say pick one of your hobbies that are normally done within your home, and try it were others can see. See reactions of others when they see what wonderful things you can do. It is a wonderful chance to not only exchange ideas, but teach others about your skill. Holidays are coming up and I am building up my stocks. Gift baskets are going to be made to order though supplies are still available and ready for orders and single orders. I am also exited about my classes I am offering for private art lessons or home school groups. Once again I get the chance to see joy in the eyes of today's youth when they get to use creativity and self expression. Education has seen a great change in the last few decades. Before you had Public, or Private schools. Today you also tend to find Magnet schools, online schools and perhaps one of the fastest growing groups Home Schools. While all have wonderful advantages on some level many have one fatal Flaw. The arts is slowly being removed from the General Education of today's youth. Today if you have a child that has a strong gift for art and they are lucky enough to have it spotted by someone that is in the know they may luck out and have chance at an Art Magnet School. However in the public and even some private schools art is being shoved even farther down the requirement latter in exchange for classes that press one into the proverbial box. As a teacher once told me there are many levels of thinking and what is often taught in schools (history, language, social studies, even spelling, and some math) is Memory. This is the lowest and least effective form of thought, yes what the simple minded animal in the changes use when taught a trick. The highest form of thought is creative thinking and problem solving. Unless you are in a special class or program this is not taught in school as it can not be tested. With one exception, art classes. Art and creative studies encourages students to think on a higher level then simply the swallowing and regurgitation of knowledge. They also are the classes that let the student express themself and learn who they truly are. Studies have shown that age 8 is a pivital age in the life of a child. prier to this age you were not forced to color in the lines, art was what you made not what it looked like. Between 5-8 pressure begins to be placed on the child to make art that Looks like something. This stunts their creative thought and makes them wish to color in the lines. Well I say no more. Lines are there as a guide not a law. Let art be reborn in the lives of youth. More and more families and home school groups are contacting artist and having private lessons given to round out the lack of creative learning being given in most schools. These opportunistic give the average student a better chance in the future to see what it is they wish to become, not only artist, but creative directors, architects, business owners all can spout from an unrecognized love of art. It has been my goal for many years to help people young and old embrace art for their minds, and spirit. I have taught in many programs for over 9 years. Now I am offering private classes for home school, private families, or those that are hoping to build a personal portfolio for schools that you are looking to attend. So if you have a child that seems to need an extra boost or is just showing a love of art, look in your area for classes or groups. Range in price and quality, you may get a discount if you have a group. So see what you can find by looking for art classes for the masses. Through the olympics I have set myself with a few goals. I joined Ravolympics, a contest to do fiber events throughout the entire Olympics. Charity Rowing, Hand Dye High Dive, Handspun Heptathlon, Hat Dash,Free Style, Single Skein Sprint, and Sock Put. These events were designed so that they were to be started at the lighting of the torch and must be finished before the ending ceremony. Below are some of the events that are offered. Do something that makes you challenge yourself this month. Well Projects out everyone. What is it that is making your tick at this time. Many of you may or may not know my husband Raine is always supportive of my projects, though in all the years we have been together has only ever asked from one thing made (knit or crochet). Well that changed, a few months back he stated he would love a knit kilt. So I did what any loving knitting wife would. I went to Google.... and Ravelry, and every other knitting site there was. Seemed to date there has not been a true Men's kilt that has been knit. So I put out some feelers and conferred with some experts (also whom admitted to having never heard of this project) and I got stated. With many restarts I am seeing the end of the finish-line with this kilt and I must say for a prototype it is looking wonderful. Once I have finished the bottom up length I will be adding in the pleats, and a waistband including belt loops. The funny thing is I already have request to make these kilts for a number of people. However here is my official statement on this. At this time it is not conducive for my company to spend such a long time working on such large projects. However I do intend on righting a pattern and offering it in my shop and a few other places for a very reasonable price. I hope that by this time next year knitted kilts will be all the rage. But then the question is what is next on the block. Well with the help of the new face in my Comp we are now offering banners, avatars, and custom cards. And soon I will be adding wood projects to the ranks. New batches of Handmade soaps are planned soon, and or coarse with the Olympics (Ravolympics) I will be working on spinning, and knitting small projects that I hope to offer for the shop as well. This summer heat is not getting me down. I will not be daunted by record heat, but instead enjoy the sun. Summer sun getting your down? If you are like me fair skin may keep you out of the sun, and keep you from being out on these wonderful days. But there are tips to help this problem and protect yourself from UV damage. We all know that sunscreen and hats are what we should always use before we leave the house. They protect us from UV rays that are not only bad for our overall health, but our skin pays the price. There are a few tricks for those that wish to help in the protection of our skin. If you forgot to apply, or sunscreen fails you then you there are tips and tricks that will help deal with the damage. Keeping your skin moist is always ideal though when it is damaged it is even more important. Aloe is a well known cooling salve that is often used for this problem, however I since have found it caused me more problem with its slimy or sticky feel. In my search for the right solution I came upon the solution already in my cabinet a few years ago. The item that I had been using for spots and skin blemishes, along with the once and a while bug bite, witch hazel has great effects on sunburns and sun damage. I have started using this product everyday, it not only is good for sunburns and the before mentioned problems it cleans and tones skin leaving you with the same positive effects of aloe without the slimy/sticky feeling. Witch Hazel is known for the fallowing effect and more. I have in the past blended my favorite lotion with the witch hazel to get the blended effect. It worked wonderfully however the mix was oily as the lotion was not not made with the additional ingredient in mind. Some homemade products have these added in from the beginning, though you may not find them in stores. I make and often sell body butter in the summer just for this purpose. I intend to start using offering it year long as the effects are seen all year, and always good even without sun damage. But most of all, in the summer heat. Keep on your sunblock and hat. Remember too your sunglasses (my worst failing) and lip balm. After all lip are skin too, and your eyes are fragile things, take care of them. Drink lots of water, not only will this help with your internal temp, and dehydration, but hydrated skin is more likely to recover from skin damage faster. Dish washing liquids are not all the same, for many years soap scum residue was a problem even with new dishwashers. We changed brands of cleaners, used all the additives, but still would have to hand scrub some things just to get them to LOOK clean. Then I gave up on it. No I did not go out and get new plates and glasses, or get rid of the dishwasher. Instead I stopped using commercial soaps. Instead I used a traditional homemade recipe that has done a far better job at a fraction of the price. Even the lower end liquid would cost about .20 a load, my homemade liquid is .04 a load and dose a better job, with no soap scum to speak of. A box of BORAX and Baking Soda cost about $1.00 each, and then Lemon juice is also about $1. I use one Tbs each of BORAX and BS adding 4 cups of water, and a squeeze of Lemon juice to cut grease. Once mixed I let this sit for a few hours to thicken a bit before use. To really get shine I add a bit of white vinegar into the additive tank to release a bit at each rinse. Ready to wash your Dishes Naturally? Dish washing liquid is not a new invention, it did not start with the machine. Be it by hand or in a dish washer you can make your own dish washing Liquid at a fraction of the price. Making Liquid Dish Soap is an easy and thrifty method of keeping a green and clean home. All the things that you need to make your own dish washing liquid can be found at your local store. In the cleaning isle you will find 2 of the 3 ingredients needed, another is in the Juice section. Shake this solution well and allow to set over night. This liquid will thicken by morning, and make a wonderful low residue free cleaner. For hard water areas White Vinegar can be added to the liquid enhancer tank to rinse any spots of your glasses. I find this simple recipe is wonderful for getting my dishes clean without leaving soap residue that can be common with store bought products. Try making your own, see how much money you can save and still have clean and safe dishes for your family. Well much has happened to step forward with our product line. Our New Fiber Room will be competed today, my wheel and stash will be able to have a permanent home and allow for less distractions. My wonderful new fiber has finished drying from my dye batches and are ready for spinning, and posting. They look wonderful, I can not wait to spin. I will blend this BFL with some Soy silk and get one of my favorite combinations of yarn. And finally I am working with a local wood worker and we are making a number of bird, bee, butterfly, and Bat houses for in your garden and around your home. These will be added as they are finished. I am exited about their creation. New products are now up on my shop. I am happy to say that they look great are are up for everyone to see and buy. I have my first full batch of bath salts. A soft lilac color is matched with a sweet fragrance of Lavender. I love this salt and hope that others find it as pleasing as I always do. I have tired the sort with herbs in the past but have never liked the herbs floating around. Oils have always been my preferred method. While I may one day make herb salts I do not like them for myself so am not making them at this time. 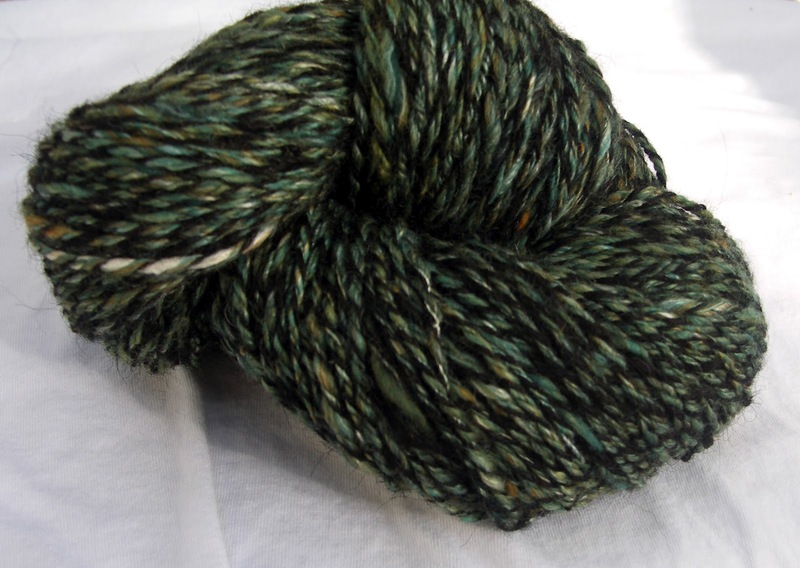 I also made over 600 yards of Anaconda Yarns both 2 and 3 ply. Also made a wonderful yarn called Cinnamon Bun about 280 yards. It is soft and wonderful to the touch. It is on. Now it is time for the fun to start. I have my spinning wheel and began spinning yarns again. I am happy to say that while my wheel is not happy with the humidity it is healthy and ready to work. 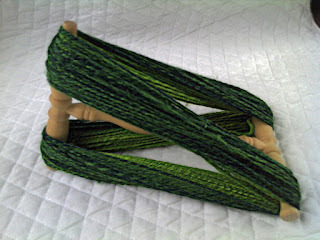 I have finished two yarns that are ready for sale, and working on a new BFL that I am in love with. 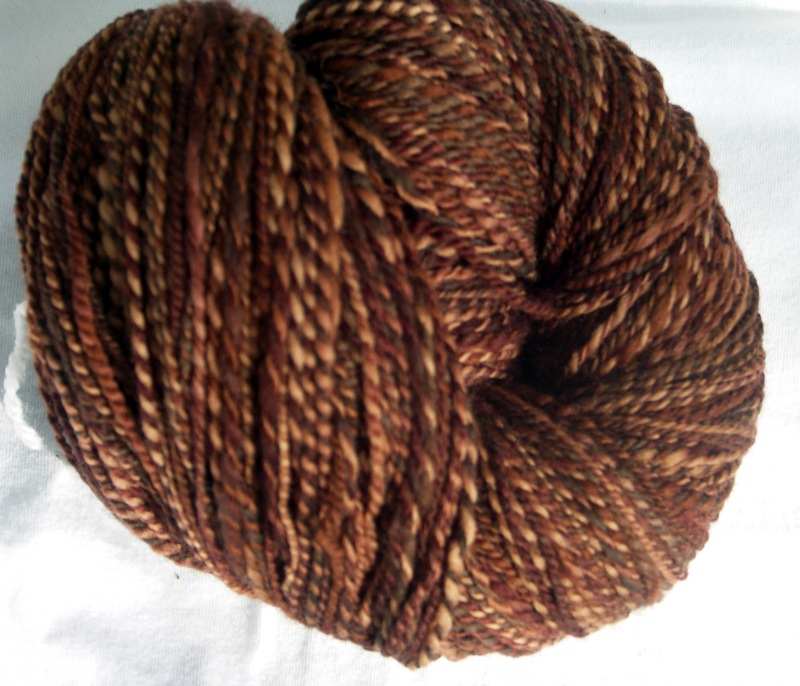 I am also happy to say that I have my first batch of lovely fibers on its way. As for my other products I will be making up a batch of bath salts next week. Also I am spending some time to try and set up a hive of my own to build my own bee products supplies. I like to keep my raw materials as fresh and quality as possible. While my supplies are wonderful I like to know that I have as much control of my supplies as possible. Now well ensconced in our new home, I have found little time to finish up my shawl. I still have 64 rows to go, though It is already starting to look wonderful. I was able to knit 130+ rows on the trip. I suppose I picked a project that was a bit too ambitious for me while traveling. Though I will be joining the locals in some knit nights and it will be finished in not time. My spinning wheel should also be arriving in NC by the end of the week with the rest of my product making supplies. I am most excited about moving into a farm house. I hope that soon I will be able to boast home raised wax, wool and angora. Though this may take just a bit of time as we are having to renovate the property to get it back into a comfortable place to live and work. I will be traveling to local farmers markets and flea markets reporting on products that will be inspirations for future items. Please keep your eyes out for my very own bath salts. Available soon from Tigersmoon Designs. After two days of knitting I am 7 rows to the end of the main body. Once that is done I start on the lace work in the morning. I am excited about that as it is the part I enjoy the most. So far this has been an easy knit, and will make a wonderful first shawl for someone that is wanting to build confidence. I will be passing this pattern on to my sister as I teach her how to knit. Cross Country Shawl say one. I started my Shawl this morning,Though a two hours in, saw I had made a mistake. I frogged it and restarted. Now it is looking great. This pattern I am using is Seraphin Shawl. And using Merino ORO Black Lace yarn. I am very excited about this shawl already as it is soft as a cloud once knit. Stay Tuned for more updates on my Cross Country Shawl. We are embarking on a cross-country move (again) on the 25th of March. I have been pondering what project to work on for this 4 day drive. My project up until this point has been a pair of socks, though I am nearly finished with sock #1, and would have made the second in a day. I really like the idea of having a project that i start and finish all on the drive without it leaving large gaps of time. So after much thought I am going to be working on another Shawl. My last one was very fun and is beautiful. I am hoping to have the same sort of results with this new project. I will be taking photos of my project along the way. Believe it or not I hope to start the piece as we leave Salt Lake City on Sunday Morning and finish this by our arrival on Thursday in Hickory North Carolina. We are making this a four day trip rather than the 3 we made it in last time. So barring bad weather (no light, or more frequent driver changes) I should have nearly 4 days of uninterrupted knitting. Wish me luck. 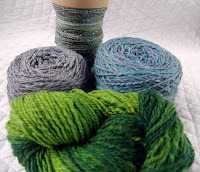 If you are like me, over the winter you collect yarns and fibers at a much faster rate. Lets face it, this is the time that you want to be curled up by the fire, stitching to a good movie. However come spring, while you may have a pile of finished projects, you also have a swollen stash. Spring is a great time to look through your yarns and clean out the ones that are no longer going to be used. As we all know, there are many times you have gotten buyers remorse. Or worse yet, someone brings you a Ton of yarn, from their clean up, and you think you will use it. We yarnaholics are an optimistic bunch. Of course we will be able to make 5 sweaters, 15 scarves, a shawl and a dozen pair of socks that would be needed to use this offered bags of yarn. The question is though, while this may be true, will you do it before you find better yarn you want to make something else with? As my husband and I are moving I have been contemplating my stash. I find that I was in denial about my own. I keep a basket beside our armchair that held all of my yarns (not fiber though). When I introduced the basket I did a stash busting project for a local yarn bombing event of making a 300 Foot Scarf. This reduced me to one basket of yarn, or so I thought. It seems in the bowels of my craft closet the little yarn balls were reproducing. While packing all my fabrics I found 3 garbage bags full of yarn. All yarn I would not use, I had been moving around with for years. So this time they are not even being opened, and all going to a local charity. This cleanse was great for the spirit and my closet. I recommend that everyone take the time to look at your stash and go through it. What you do with the yarns may depend. You could make a stash bashing project like my scarf, though then you have to have the willpower not to buy yarn until the project is finished. Or you can pick out those less desirable (you know the ones) yarns and offer them to your local guild for trade, a charity, or other groups. One great result of a smaller stash, you get to buy new yarn now. A Softer Side of Life. Many people will agree that one thing that has always remained is an interest in the fiber arts. While this has gone from a functional activities to one of pleasure for most thanks to technology the traditions have continued and even increased. I recall when I was younger sitting by the window with my grandmother as she taught me to crochet. I was never very good, I could make dish cloths, and a few other very simple things. Though I always knew there was more to it. When I was in collage I once again put my hook to work. This time I was going to learn to do it right. Since that time I have learned how to also knit and spin my own yarn. While many see these as skills of the past I have come to notice that the number of people that enjoy these activities is growing. Why in a day of cell phone’s, Internet, and Discount Clothing on every corner would we take the time to fashion our own clothing? Well any person that is already stitching will tell you it is not always about the product, but about the methods. Many of us work is stress filled environments, running around and being over stimulated with emails, and phone calls. However the act of sitting down and using your hands to make something purely as a luxury moves our busy minds from 700 mile an hour fast lane, to the gently curving scenic route. But why did people start? How to they learn? Well this is not the world our grandparents grew up in, were Mom or Grandma taught you at her knee anymore. Rather most people these days use the same technology that threatened to phase out this craft, to spread the word. Online is the idea place to find everything you need to know about fiber arts. Web sites like Youtube and Ravelry offer videos and tutorials. While Amazon offers books and kits on the subject. Yarn store while a luxury in a downed economy are having a better time of functioning with the ability to advertise online, or even sell products online. Sites like Etsy offer crafters a chance to sell their wares from their home, and reduce overhead. It also opens the market to products that in the past were hard to come by. Fibers that were only found in set regions of the world are now only a click away, opening the market from simply wool, cotton, and acrylic to such fibers as alpaca, angora, Buffalo, cashmere, bamboo, silk, seacell and much more. Many of these sites also offer teams and groups so that people can meet and share ideas. Many events have spawned off this such as Knit/Spin in Public Day, Fiber arts markets, and much more. Guilds that were dwindling but vital in the continuation of the traditions are now rejuvenated with new generations that found the art through their new media methods. Today you are no longer stuck with only what could be found at your local Walmart, or for lucky ones in your yarn shops. Even the selection in your shops are better as they too have more access to finer products, and hand spun yarns. Thanks to the Internet boom for fiber arts people are even raising their own livestock such as rabbits, goats, sheep, lamas, and alpaca to meet demand or to supplement their own stocks. Though that is another topic all together. We think very often that green is only to political correct or to go along with a “hippy” lifestyle. However if you are like me it is more about the fact that someone in your home (my husband) has a sensitivity to most smells including cleaning supplies. Most homes do not have a great amount of ventilation to help move the air out of the home. This smoke dose not go just at my lungs, it also lingers in the air and on surfaces. Dust, Dander, and Dust Mites. The average home has one pound of this form of pollution for approximately every 37 square feet of the home. What many people only think of as a smell from bleach, ammonia and other solvents is actually harmful pollution. These and many other aspects are things that should be taken into account when you are planning to clean your home. As most Americans spend 80-90% of their lives indoors it is important to know what it is that you surround yourself with. Most of these indoor problems can be solved with planning, regular airing and cleaning of your home, and a change in your cleaning routine/products. Here are some of the natural oils and other ingredients that I put in my products, and what benefits they bring your skin. Shea Butter: This well known moisturizer has many hidden talents as well. Not only dose it absorb quickly into skin to repair and protect dry and damaged skin it also has healing benefits. In addition to Vitamins A, E, and F Shea Butter has long been used for wounds as it has a natural anti-bacterial property. Cocoa Butter: Once again we see out Vitamins being offered in this butter, though more importantly Cocoa also offers a high amount of antioxidants that help rejuvenate the skin and slow the aging process. Also this product is often recommended for scars and stretchmarks. Avocado Oil: This oil rivals Fish oil in the amount of Omega 3 that can be obtained from it, not to mention Vitamins A, D, and E. All of this is known to sooth and soften skin that is dry or aging, even reducing wrinkles. However the benefits do not stop there, Avocado oil is also known to increase the production of collagen, helps relieve eczema and solar keratosis, and speeds in the healing of burns as it is a deep penetrating oil. Grapeseed Oil: Like all the other oils this one is high in Vitamins and antioxidants. It slows the signs of aging and is good for all skin types. It is often chosen as it is very effective against inflammation and other wonderful helpful uses. Walnut Oil: Walnut has many special qualities that can be used to enhance our natural health. Helps inflammation, anti aging, better skin. Olive Oil: Eczema care, deep moisturizing, and skin care. Bees Wax: For hundreds of years beeswax has been used in skin care, even before we knew the reasons it was obvious that it protected from inflammation of the skin. It also has in its unrefined forms antibacterial and antiviral benefits that are both of benefit to the skin. Along with its ability to draw moisture to the skin and seal close to the surface. 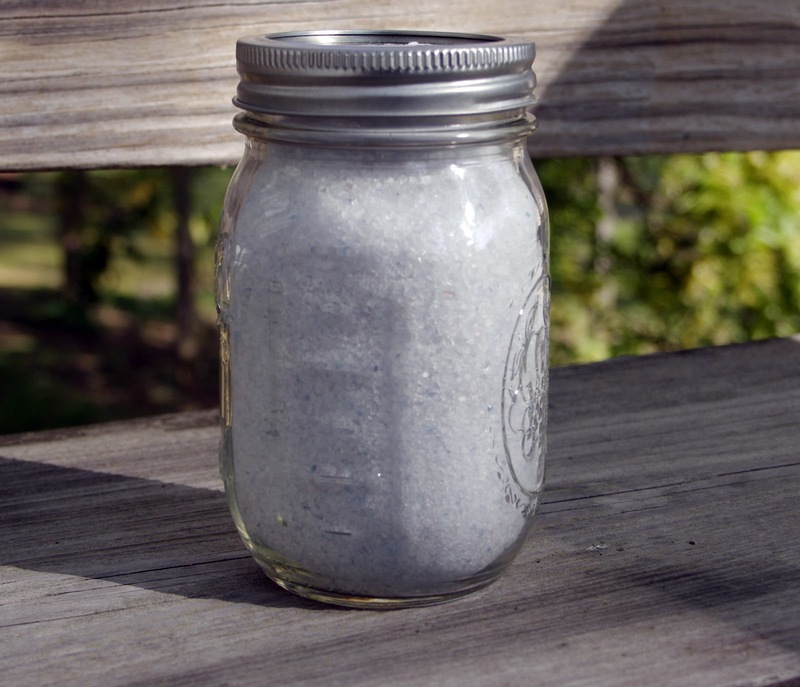 I always find it good to know what it is we are using in our homes and on our bodies. I have given the ingredients for my products below. I always strive to buy my supplies from local producers, along with the highest quality.